The Center for Disease Control and Prevention on Monday released the most recent measles numbers, revealing that the virus jumped by another 90 cases in one week. There are now 555 confirmed cases across the U.S. since the beginning of 2019 and the second-highest number of cases in the U.S. over the last 25 years. Before this latest measles outbreak, 2014 had been the worst year since measles was eradicated, with 667 confirmed cases across the U.S.
Dr. Nancy Messonier, the director of the CDC's National Center for Immunization and Respiratory Diseases, said that she’s "obviously very concerned about the size and also acceleration of the current outbreak. This is not going to stop on its own." Dr. Robert Redfield of the CDC took to social media to comment on the growing number of measles cases. The World Health Organization also expressed their concerns with the growing measles outbreak. The WHO reported Monday that the number of measles cases reached over 110,000 for 2019, a 300% increase from the same period in 2018. Ukraine has had the highest number of confirmed cases with more than 72,000 over the last year. Madagascar and India follow Ukraine with 69,000 and 60,000 cases, respectively. The Associated Press recently noted that there have only been three measles-related deaths reported in the U.S. since 2000. 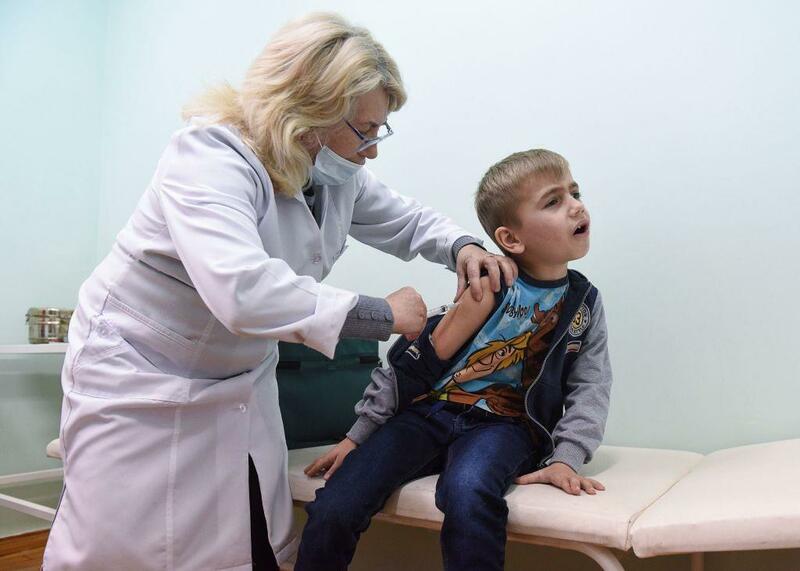 There have been 35 deaths from measles across the European Union countries in 2018, according to European Centre for Disease Prevention and Control.